It’s the most wonderful time of the year, and what better way to spend it than with your furry-bestie?! Everyone loves getting into the festive spirit at Christmas. Whether you’re putting up the tree wrapping presents or forcing yourself to wear a Christmas jumper. But it can be difficult to incorporate your pooch into these seasonal activities. 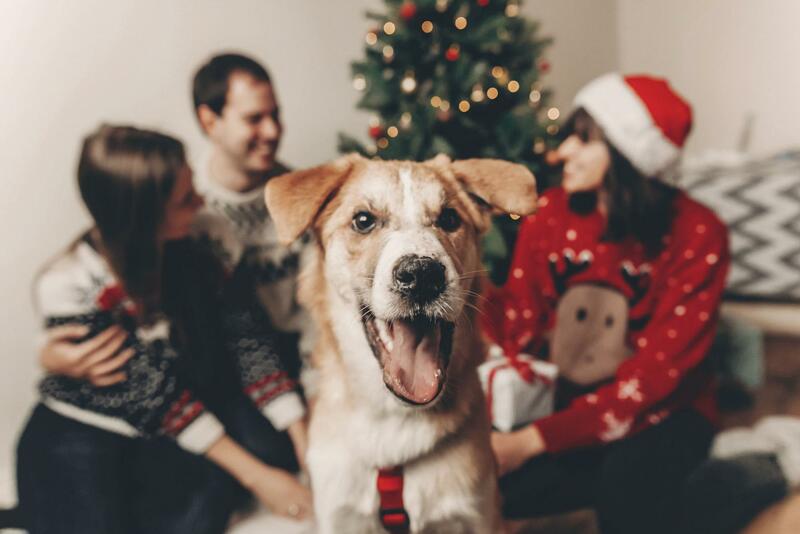 So, here’s a few things you and your dog can do this Christmas! What says Christmas more than over-the-top decorations? The holidays are the time to one-up your neighbours and decorate your house with the brightest and best Christmas lights. One of the best festive activities you and your dog can enjoy together is going for a nice, long walk together. That way, you can both enjoy seeing the houses in all their festive glory! Whether you like it or not, you’re going to have to wear a Christmas jumper. It’s a tradition, but it’s also a tradition your pooch can get involved in too. Getting your dog to wear a cute outfit is an all-year-round activity. But there’s only one time of the year you can fit your dog into a Christmas jumper like yours. So find you and your furry pal matching jumpers and show the whole world how in sync you are. Spending time with loved-ones is all well and good, but there’s one thing we all look forward to the most at Christmas: opening the presents. Get your dog involved by wrapping some special toys and treats to open with the family on Christmas day. What could be cuter than watching your pooch excitedly tear through the wrapping to find a new toy waiting for him? Mince pies, chocolate snowmen, Christmas pudding. All delicious treats your furry friend, unfortunately, can’t have. But that doesn’t mean they can’t go through December without a festive treat! There’s plenty of wintery-goodies you can make for your favourite little guy to enjoy. From Ginger-bread dog cookies to dog candy-canes, these doggy Christmas treats will have your pooch drooling! We all enjoy waking up every morning in December to a treat behind the advent calendar window. So why not let your dog join in the fun by having a calendar of his own? There are plenty of calendars out there to choose from, all filled with festive goodies your pooch will love all month long!